Rod Little has been writing fiction for more than 25 years. 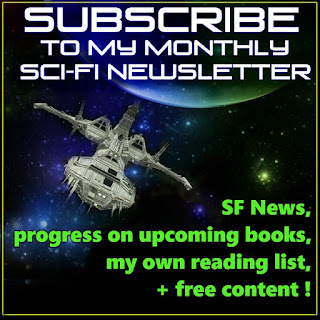 His short stories have been published in over thirty magazines, including SF World, Twisted, Fungi, The Horror Show, Star Realms, Omniverse, Haunts, Galaxy, and Weird Stories Magazine. Some of these disappeared as magazines in the 90's, but many are still available online. Rod has written five novels, including the current "Sons of Neptune" series, and novellas for Wayward Pines and The 100 series (the latter out of print). His favorite writers are Clifford Simak, Frank Herbert, Isaac Asimov, Arthur C. Clarke, Stephen King, Bradbury and Harry Harrison. While his favorite genre is sci-fi space exploration (and anything on a space ship), he has a penchant for post apocalyptic scenes on Earth, both in novels and movies. Rod's favorite books are Dune, LotR, Childhood's End, and The Stand. Born in northern Illinois, Rod moved to Pittsburgh, Pennsylvania at age 18 and attended the University of Pittsburgh. He worked for many years as a linguist and translator before opening a sci-fi/comic book store called Starbase One in Pittsburgh on the famed Forbes Avenue. The store hosted CCG Card games (Star Wars, Star Trek, Middle Earth, Wyvern, and Magic: the Gathering), sci-fi movie festivals, and countless hours of discussion between fans. 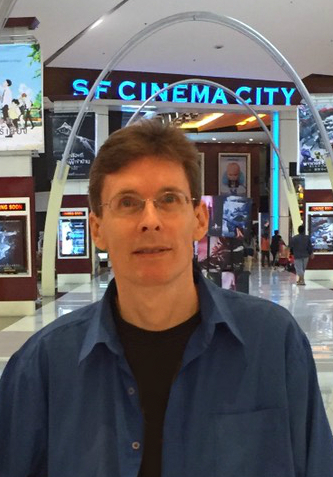 Rod kept Starbase One open for 11 years before closing it in 2006 to move to Thailand to begin writing again. Today he travels (mostly intergalactic), writes, and translates. His favorite quote is from Carl Sagan: "Absence of evidence is not evidence of absence [of alien life]." His favorite bands are Jethro Tull, Rush, Queen, Triumph and Yes. "Ian Anderson is a brilliant songwriter." Favorite movies are Enemy Mine, Beneath the Planet of the Apes, Tarantula and The Thing, along with a thousand others, too many to list. TV Series: Stargate Universe, Blake's 7, Trek and Firefly (all on board space ships). He is a fan of the first few seasons of The Walking Dead for its writing prowess, and wouldn't turn down a Blacklist marathon. 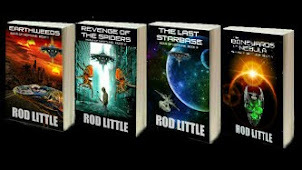 Rod's motto: "Reading sci-fi should be eye-opening, but most of all: fun. Period. I love old monster movies, and that shows in my writing." Favorite simple pleasure: a cup of coffee. If you've read some of his work, feel free to drop the Author a note via the contact form. He loves to hear from fans ....and even critics. "The journey is half the fun, as long as you have a ray-gun." Also subscribe to me on Amazon!